Do you need to learn Chinese, and now? Don’t have the patience to wait years to have your first conversation? Have you heard the buzz about how you can learn the language in just three months? If so, you may be wondering just how much Chinese a language learner can really pick up in that time frame. Well, let’s start with the good news. With the right work and attitude, you can make massive progress in your Chinese learning in three months. And if having a conversation in Mandarin Chinese is your primary goal, it can be achievable with just three months of study, even if you’re starting from zero. The bad news is that it’s just impossible to reach the level of proficiency that would allow you to, let’s say, write an essay longhand or attain near-native speaking skills in Chinese. That takes years of work and education. But that doesn’t mean a dedicated three-month study plan isn’t worth it! If you’re a beginner, it’s an awesome way to get your Chinese education started on the right foot. If you’re an intermediate or advanced student, it’ll give you an important push toward fluency. The impacts on your Chinese skills will last long after the three months are up. So how will you go about learning the most Chinese possible in three months? Here’s a plan to maximize your learning. For the purposes of this post, I’m assuming that you’re starting from zero, but these strategies work to jumpstart your Chinese learning no matter what level you’re at. Get as close to total immersion as possible. How much you can learn in three months depends largely on how much time you can spend learning Chinese every day. You should be spending as much time as you can on Chinese and as little time as possible using any other language. Unsurprisingly, if you’re able to devote 100 percent of your three months to speaking, reading, writing, listening and thinking in Chinese, you’ll make more progress than if you can only spend three hours after work studying Chinese. If possible, schedule your three-month study plan for a summer vacation from school, a sabbatical or any other time when you’re free from your regular obligations in your native language. But ultimately, the key to making progress is to devote the maximum amount of time to Chinese possible given your circumstances. Use active and passive learning to maximize your progress and avoid burnout. You’ll need to spend time speaking, writing and studying characters. These activities are essential for learning, but they’re also exhausting. Rather than studying nonstop for three months, you’ll need to relax with a movie in Mandarin Chinese now and again. In this post, we’ll show you key study techniques for both active and passive learning so you can achieve a balance. Stack activities to make the most of your time. You’ll want to be exposing yourself to Chinese all the time, including when you’re eating breakfast, washing dishes and taking a shower. The key here is that if you’re really going to advance in three months, even your free time should be devoted to the Chinese language in some way. Again, we’ll discuss some specific ways to do this later in the post. As you’re creating a three-month learning plan, you’ll want to make sure to incorporate all of the four major language competencies discussed below. I recommend spending about equal time on each of these language competencies every day. Learning characters is essential to being able to function in Chinese, but unfortunately, most learners would agree it’s not the easiest part of learning the language. Here’s a strategy for learning as many characters (and the most useful characters) as possible in three months. Start out by learning the 214 Kangxi radicals. These are the building blocks of Chinese characters. It’s not like learning the alphabet, but it’s as close as you’ll get in Chinese. Mastering these 214 radicals will make learning Chinese characters faster for you in the long run. 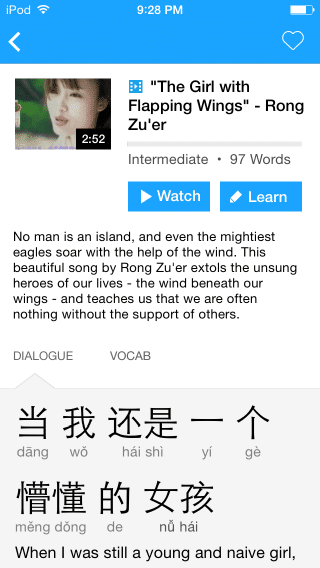 While you’re working on learning the radicals, start tackling the 1,000 most common Chinese characters. According to research, knowing the top 1,000 most common characters would allow you to understand about 90 percent of the Chinese language. And if you learn 11 characters per day, you’ll be able to get through the 1,000 most common characters in about three months. Combining this with learning the 214 Kangxi radicals will make learning the characters much easier and more likely to stick. There are a number of tools you can use to help learn characters. For learning to both read and write characters, I think Skritter is the best. Some other options include Zizzle, Memrise and Anki. Learning characters isn’t enough to learn to read… you have to actually spend time reading! However, if you’re going to boost your reading skills in three months, you probably won’t want to just dive into any old book written in Mandarin Chinese. Instead, start with graded readers. These are books designed for a Chinese learner audience; the vocabulary and complexity is written to cater to different learning levels. If you’re studying intensively throughout your three months, see if you can increase the difficulty of your graded readers every week or every two weeks. Some resources for graded readers include Mandarin Companion, ChineseReadingPractice and The Chairman’s Bao. After you’ve spent some time with graded readers, start reading a book you’re already familiar with that has been translated into Chinese. This will help you pick up new vocabulary and get exposed to written Chinese without worrying about getting lost in the plot. I like to recommend the “Harry Potter” series, because it’s written for children/young adults, so the language isn’t too complex, and you’re probably already familiar with it. Any book, though, that you’re already familiar with is a good place to start. The fastest way to improve your pronunciation and speaking abilities is to hire a private tutor. That’s because tutors can provide expert personalized attention. They’ll hear the errors you don’t know you’re making and will coach you to better pronunciation. 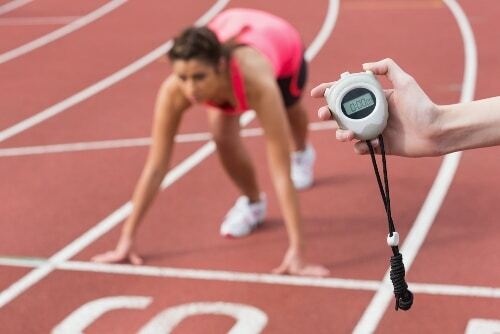 It’s a much quicker and more precise way to improve your speech than trying to imitate Chinese audio content or even being part of a class with several other students. You can hire a tutor via Skype or an in-person tutor. I personally think in-person tutors are slightly better; it’s easier for a tutor who’s sitting at the table with you to give you pointers about where to place your tongue when you make a particular sound, and there are no issues with poor audio quality. In-person tutors are usually much more expensive, though. An easy platform for finding Chinese tutors either online or in your area is Wyzant. There are tons of qualified tutors that you can quickly search for and narrow down by filtering based on their rates, qualifications, distance from you and more. The site italki is another good option if you’re interested in one-on-one lessons online. Use your time with the tutor to drill your pronunciation and work on both spontaneous and practiced speaking. Ideally your tutor is a trained language teacher who understands the difficulties foreigners often have with both Chinese phonetics and tones. Part of your learning plan involves writing in Chinese. Longhand. Yes, you’ll probably spend most of your life in Chinese tapping out text messages on your iPhone… but writing in longhand is key to building a strong foundation in the language and solidifying your grasp on characters. It’s also an excellent way to practice grammar. Proper grammar or lack thereof is most obvious in the written form, so writing in longhand will help reveal weaknesses or holes in your understanding of how to form sentences in Chinese. Of course, you won’t always be able to spot those weaknesses or holes yourself, so make sure you get your writing corrected. The best way to do this is to dedicate the last 10 minutes of your tutoring session to reviewing your written work. At some point in your three months, you’ll need to relax. Most learners can’t practice characters for 12 hours a day without going insane. If you’re really pushing to advance as quickly as possible, you’ll want to make sure that you take some time to “relax” in Chinese, too. Listen to Chinese radio/podcasts. You can find a list of Chinese radio stations here, or search the Chinese language podcasts on the iTunes store. Don’t worry about your skill level being an issue when it comes to understanding the language: FluentU makes native Chinese videos approachable through interactive transcripts and subtitles. The best part is that FluentU always keeps track of your studies and suggests content and examples based on the words you’re learning. That means every user gets a 100% personalized experience! Socialize in Chinese. If you live in China, this isn’t hard. If you don’t live in China, seek out places and events frequented by Chinese speakers. 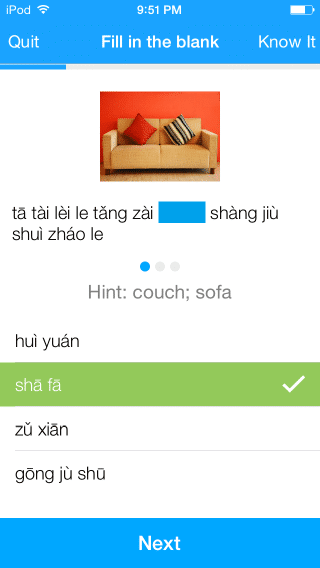 You can usually find Chinese language groups on Meetup.com. In major cities, there are often Chinese language events at the public library. The Confucius Institute is another good resource for finding opportunities to socialize in Chinese. Use social media in Chinese. There are plenty of Chinese Twitter feeds, or you can browse (or join) Weibo. Once you’ve reached an intermediate level, you could also read in Chinese for fun. Choose something that isn’t going to be a huge stretch to understand. Many of these techniques, like listening to Chinese podcasts or even watching Chinese movies, can be stacked with other activities. For example, you could listen to a podcast as you eat breakfast and get ready to go in the morning. So no matter what your circumstances are during your three-month study plan, you should be able to find time for some passive Chinese learning. Even if you’re not expected to give a speech in Chinese before the seasons change, an intensive three-month study period is an amazing way to improve your Chinese skills. As you see rapid improvement, your enthusiasm will also increase. It’s hard to maintain extremely intensive study for long periods of time, but most people do find that three months is about the right duration to intensively work on Chinese. So no matter where you are now, see how much Chinese you can learn in the next three months!